This week on The Digital Story Photography Podcast: E-M5 Mark II Hands On Review, Beta Testing Photos for OS X, Who Let the Air Out of the Latest MacBook? All of this and more on today's show with Derrick Story. 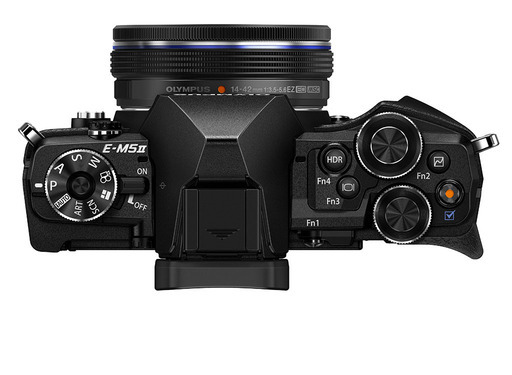 Story #1 - Hands On Review of the Olympus OM-D E-M5 Mark II - Beautifully crafted, intelligent inside, the latest mirrorless offering from Olympus might be their best camera yet. I discuss why in this segment of the show. You can also read my article about High Res Shot, one of the standout features of the E-M5 Mark II, at c't DigiPhoto. Story #2 - Beta Testing Photos for OS X - you can join the OS X beta program and test the latest version of Photos. I provide my first impressions. Story #3 - From the Screening Room - Photoshop CC Essential Training with Julieanne Kost. For my money, Julieanne is the best Photoshop trainer in the business. And she shines in this tutorial. You can watch Julieanne in action by visiting the TDS Screening Room at lynda.com. While you're there, you can start your 7 day free trial to watch all of Julieanne's movies, plus every other title in the library (including over 20 by yours truly). SizzlPix! - High resolution output for your photography. You've never seen your imagery look so good. SizzlPix.com. SizzlPix! now is qualified for PayPal "Bill Me Later," No payments, No interest for up to 6 months, which means, have your SizzlPix! now, and pay nothing until Sept!